We are pizza oven repair in your area - HIGHLY RATED! Our company specializes in all aspects of pizza oven repair, cleaning, and maintenance. No matter what problem you might have with your pizza oven, Top Home Appliance Repair can help you. We have a team of experienced repair specialists who can fix any brand or model of a pizza oven. We service both indoor and outdoor as well as built-in and freestanding units. Our team is factory trained and certified to fix most of the brands of pizza ovens such as Alfresco, Bakers Pride, Blodgett, Garland, Kalamazoo, Lincoln, Lynx, Middleby, Vulcan-Hart, and much more. 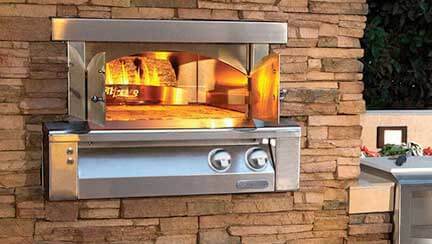 We perform commercial pizza oven repair as well as residential. Our prices are affordable and fair. Fixing pizza oven is always much cheaper than buying a new one. Most of the time our company can restore your pizza oven to its original shape. Let us do pizza oven repair for you and make your pizza oven perform like new. We also offer excellent customer service. Appointments with our team are fast and convenient. We will not disturb you in any way. We will be at your house or business on time with the full set of tools and parts. Our technicians are always polite and helpful professionals. And before you know it, we are done and presenting you with a fully functional pizza oven. Top Home Appliance Repair is professional major home appliance repair company. We perform refrigerator repair, washer repair, dryer repair, dishwasher repair, stove and range repair, oven repair, steam oven repair, microwave repair, freezer repair, ice maker repair, barbecue repair, patio heater repair and many other appliance repair services. We serve both residential and commercial appliance owners. Our service area includes East Bay, Marin County, Oakland, and Novato as well as surrounding areas. There is not a model or a brand of appliance that we can not fix. For example some of the brands we often see are Asko, Bertazonni, Bosch, Dacor, DCS, Electrolux, Fisher&Paykel, Frigidaire, GE, Jenn-Air, KitchenAid, La Cornue, LG, Liebherr, Marvel, Miele, Perlick, Samsung, Siemens, Sub-Zero, Thermador, Traulsen, True, Viking, Whirlpool, Wolf. No matter how extensive the work is we are able to handle it well. What to expect from a pizza oven repair appointment? The pilot won’t stay lit. The oven won’t get up to temperature. The oven gets too hot. The oven does not cook evenly. We can diagnose and repair any of those problems and much more. We carry most of the parts with us, so usually we do not have to order parts at all. After all, repairs are done our licensed technician will do a safety check to make sure everything is perfectly safe and functioning. This technician will make sure to clean after himself and leave your house as clean as he found it. You will be happy to see your pizza oven looking clean, shiny and performing great. It will be easier to get the perfect temperature to get your food tasting just perfect! Why choose us to do pizza oven repair for you? Our pizza oven repair services are affordable, courteous and professional. 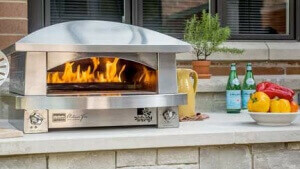 We have many years of experience doing pizza oven repair and are the top expert in this field. Our skilled technicians have factory certifications from most of the brands to do the work that they do. They are always on top of the latest technology in pizza ovens. They are also courteous and helpful professionals that will make the whole experience fast and easy for you. Finally, we have honest upfront pricing and give you free, solid quote before the work even starts. We work with you to make this home appliance repair as affordable as possible. Our service is simply fast, reliable and efficient. You will be happy with the job we do for you! We guarantee it! 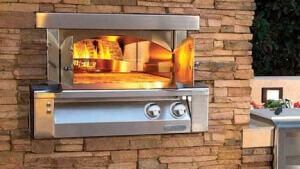 For pizza oven repair, please call us at 818-855-7988 in Los Angeles and Ventura County or 925-265-7782 in East Bay. Or you can fill out our short contact form. We would love to talk to you and answer all of your questions. We do professional appliance repair in Alameda County, Alameda, Berkley, Dublin, Hayward, Livermore, Oakland, Piedmont, Pleasanton, San Leandro, Contra Costa County, Antioch, Brentwood, Clayton, Contra Costa, Concord, Danville, Discovery Bay, East Bay, Lafayette, Oakley, Orinda, Pittsburg, San Ramon, Walnut Creek, Santa Clara County and Sunnyvale. Thank you for doing a great job fixing my Kalamazoo! I am very happy with how fast they found the problem and how efficient they were in fixing it. I was especially happy that Top Home had all the parts with them. They were able to do the job in just one appointment. The price seems to be really fair. Our company specializes in all aspects of pizza oven repair, cleaning, and maintenance. No matter what problem you might have with your pizza oven, Top Home Appliance Repair can help you.